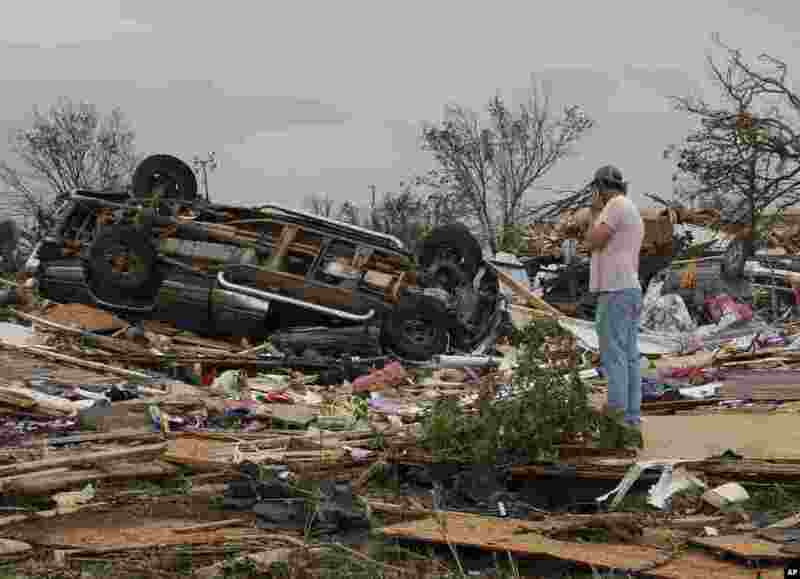 1 John Warner surveys the damage near a friend's mobile home in the Steelman Estates Mobile Home Park, destroyed in a tornado, near Shawnee, Oklahoma, May 20, 2013. 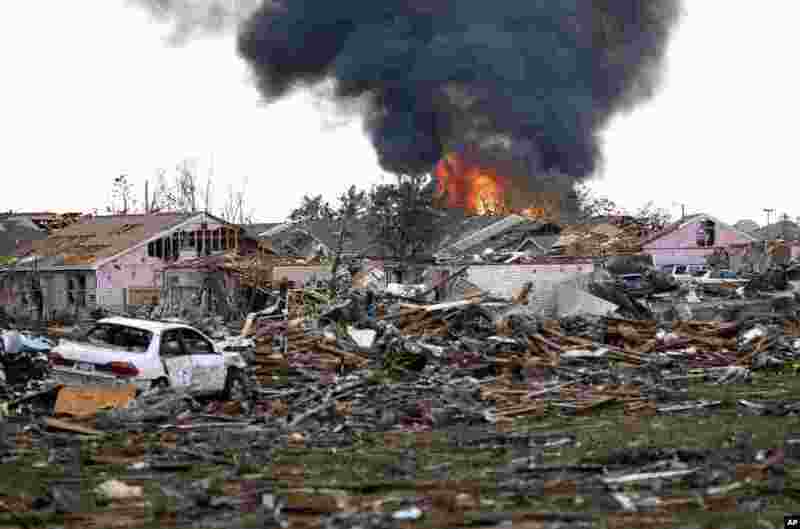 2 A fire burns in the Tower Plaza Addition following a tornado in Moore, Oklahoma, May 20, 2013. 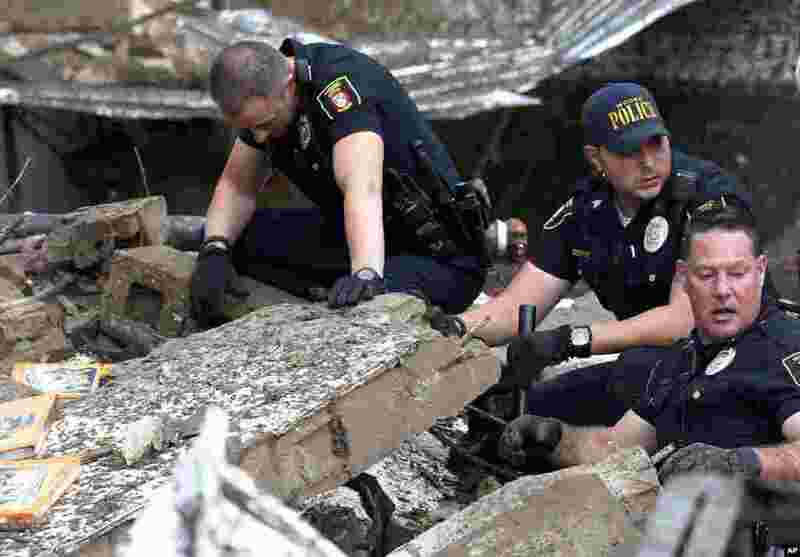 3 Moore police dig through the rubble of the Plaza Towers Elementary School following a tornado in Moore, Oklahoma, May 20, 2013. 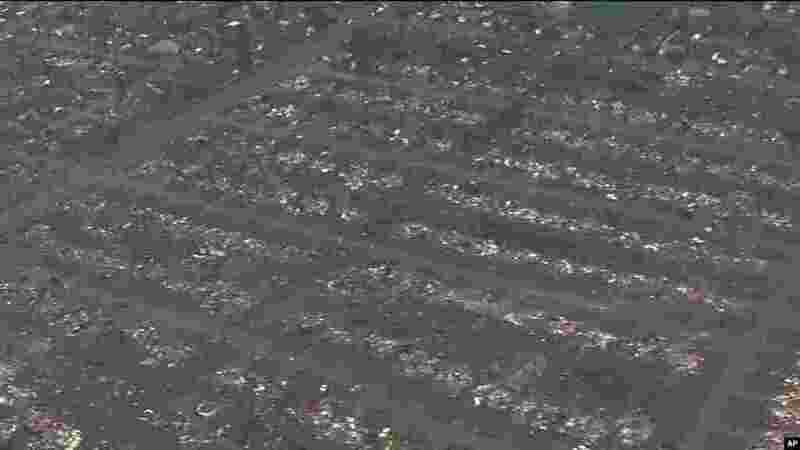 4 This photo provided by KFOR-TV shows homes flattened outside Moore, Oklahoma, May 20, 2013.